The race-against-the-clock thriller “Getaway” has just launched its new main poster art which can be seen below. Warner Bros. Pictures and Dark Castle Entertainment presents “Getaway,” the gritty, heart-pounding action thriller starring Academy Award® nominee Ethan Hawke (“Training Day,” “Sinister”), actress and international music sensation Selena Gomez (“Monte Carlo”), and Academy Award® winner Jon Voight (the “National Treasure” films). Courtney Solomon (“An American Haunting”) directs and produces the film. In the film, former race car driver Brent Magna (Hawke) is pitted against the clock. Desperately trying to save the life of his kidnapped wife, Brent commandeers a custom Ford Shelby GT500 Super Snake, taking it and its unwitting owner (Gomez) on a high-speed race against time, at the command of the mysterious villain holding his wife hostage. Rounding out the cast are Rebecca Budig and Bruce Payne. The screenplay was written by Sean Finegan & Gregg Maxwell Parker. The behind-the-scenes team includes director of photography Yaron Levy, editor Ryan Dufrene, production designer Nate Jones, and costume designer Roseanne Fiedler. The music is by Justin Burnett. 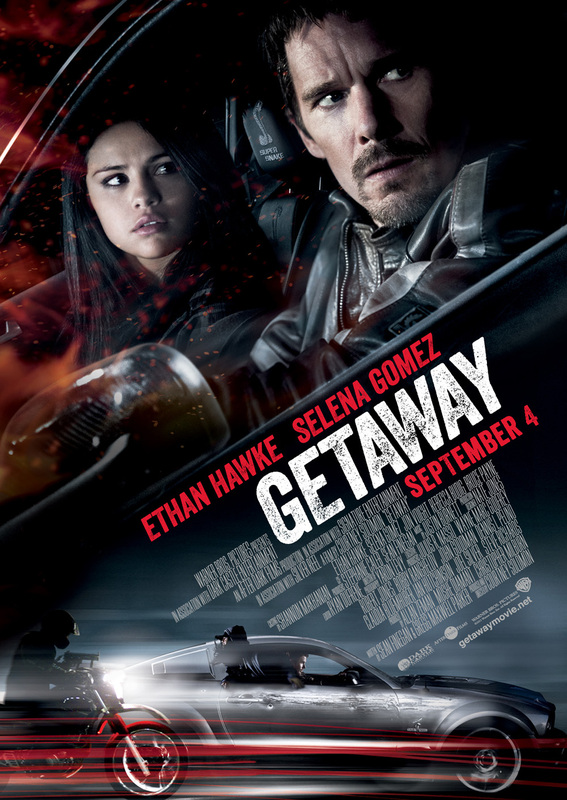 Opening across the Philippines on Sept. 04, 2013, “Getaway” will be distributed by Warner Bros. Pictures, a Warner Bros. Entertainment Company.